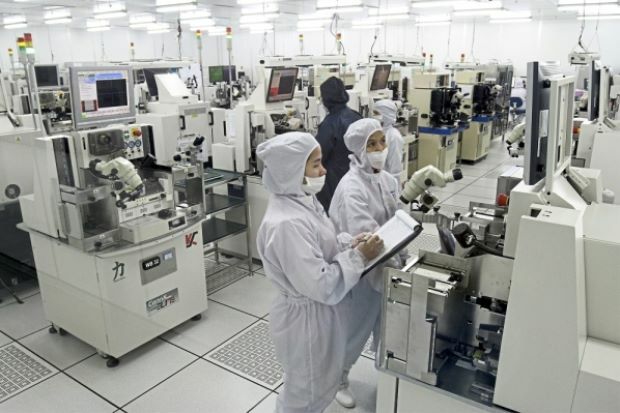 Significant role: Mini-Circuits’ manufacturing facility in Penang is expected to contribute about 10% of the group’s 5G RF chips production over the next few years. Faster speed: The 5G technology will benefit both businesses and consumers, says Kiew. Regulatory oversight of digital currencies and tokens, which kicks in from today, offers timely clarity and transparency to various players in the fledgling industry. 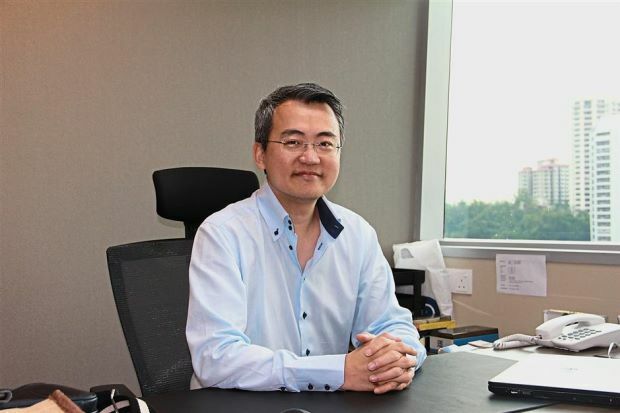 Omni Capital Partners Sdn Bhd managing director Scott Lim said everything would be above board with the regulation and governance under the Securities Commission (SC). 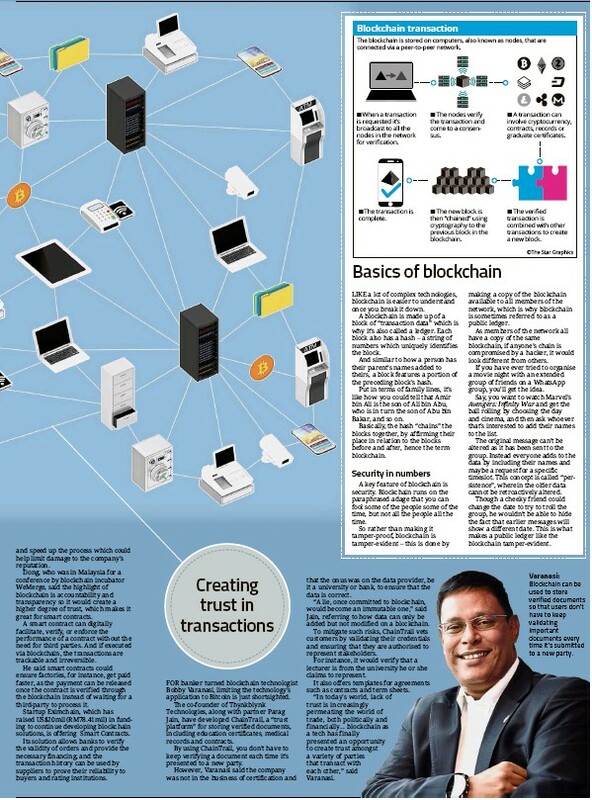 “Digital assets in Malaysia have been underwhelmed mostly. A lot of people have been bypassing Malaysia because the policy was not clear about it. “Certainly, now that this is regulated by the SC, it’ll be good. We shall wait for the guidelines,” he said. Celebrus Advisory co-founder Edmund Yong said the regulation is very much welcomed and one which is needed, as it would spur growth in the industry. Celebrus is a compliance-first blockchain consultancy firm. He added that the statement by the Finance Ministry was very accommodative with the intention to use tokens and the recognition of it as a fund-raising tool. “In fact, it can be an indirect source of foreign direct investment, a borderless method to raise funds. “But from now until March 31, there will be a twilight period. Many activities will be stopped in their tracks because they don’t know where they stand. “Some would possibly even move offshore because of the draconian RM10mil and 10-year imprisonment punishment,” said Yong. He said digital tokens could also be for points in computer games or reward points, and it too would be quite draconian if it is all painted with the same brush. The Capital Markets and Services (Prescription of Securities) (Digital Currency and Digital Token) Order 2019 kicks in today and any person operating unauthorised initial coin offerings (ICOs) or digital asset exchanges faces up to a 10-year jail term and up to a RM10mil fine. Digital currencies and digital tokens are collectively known as digital assets, which will now be prescribed as securities. The SC is putting in place relevant regulatory requirements for the issuance of ICOs and the trading of digital assets at digital asset exchanges in the country. This is expected to be launched by the end of the first quarter this year. Finance Minister Lim Guan Eng said the offering of such instruments, as well as its associated activities, would require authorisation from the SC and needed to comply with relevant securities law and regulations. “The Finance Ministry views digital assets as well as its underlying blockchain technologies as having the potential to bring about innovation in both old and new industries. “In particular, we believe digital assets have a role to play as an alternative fund-raising avenue for entrepreneurs and new businesses, and as an alternative asset class for investors,” he said in a statement yesterday. Any person offering an ICO or operating a digital asset exchange without the SC’s approval will face an imprisonment term not exceeding 10 years and a fine not exceeding RM10mil. Federal Territories Minister Khalid Samad mooted the idea of the Harapan Coin last year, which would be the world’s first political fund-raising platform using blockchain and cryptocurrency technology. In November last year, shareholders of Country Heights Holdings Bhd approved the company’s plan to conduct an ICO to issue its own cryptocurrency, called “horse currency”. Country Heights founder and chairman Tan Sri Lee Kim Yew had said that the company would like to be the first to launch cryptocurrency in the country when the regulations are ready. 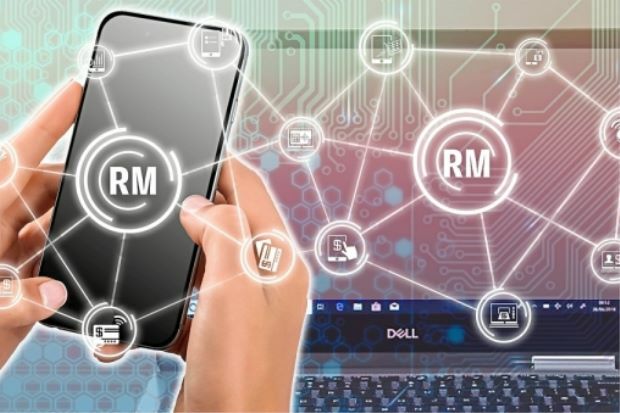 The company’s plan is to eventually issue one billion horse currencies backed by RM2bil worth of physical assets held by the holding company, with an initial 300 million open to the public for circulation. 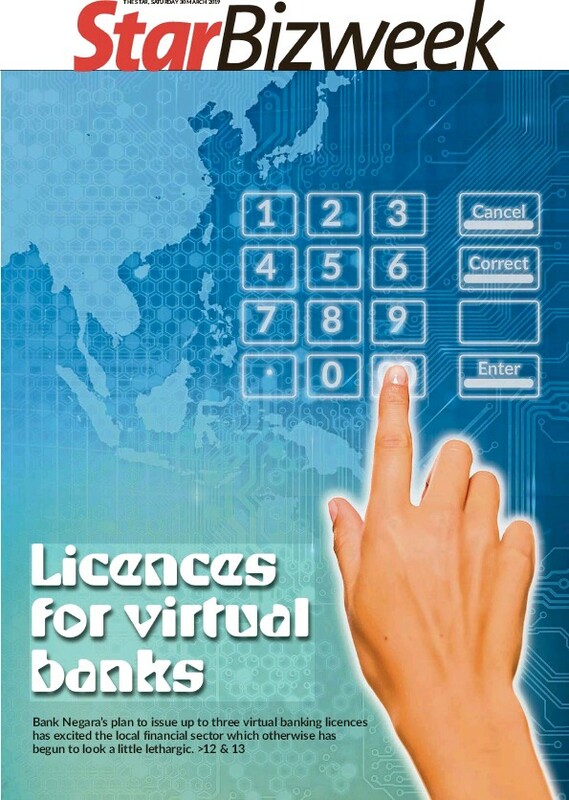 Securities Commission to regulate offering and trading of digital assets .. 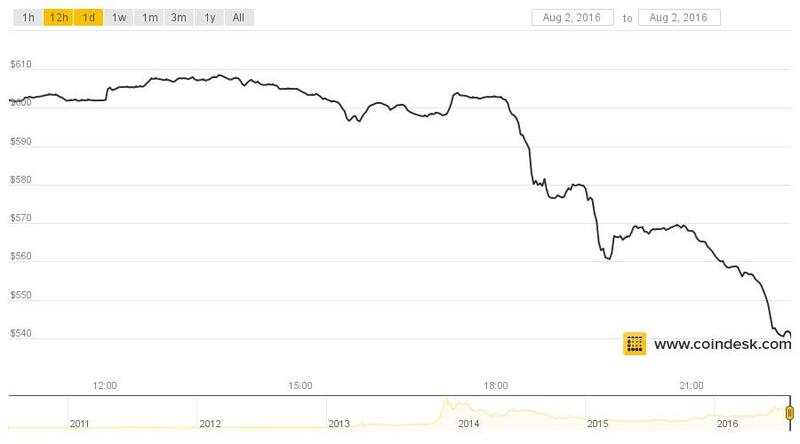 Securing the bitcoin trading platform has proved elusive. HONG KONG: Huawei Technologies Co Ltd has launched a new chipset for use in servers, at a time when China is pushing to enhance its chip-making capabilities and reduce its heavy reliance on imports, especially from the United States. For Huawei, the launch of the chipset – called the Kunpeng 920 and designed by subsidiary HiSilicon – boosts its credentials as a semiconductor designer, although the company said it had no intention of becoming solely a chip firm. “It is part of our system solution and cloud servicing for clients. 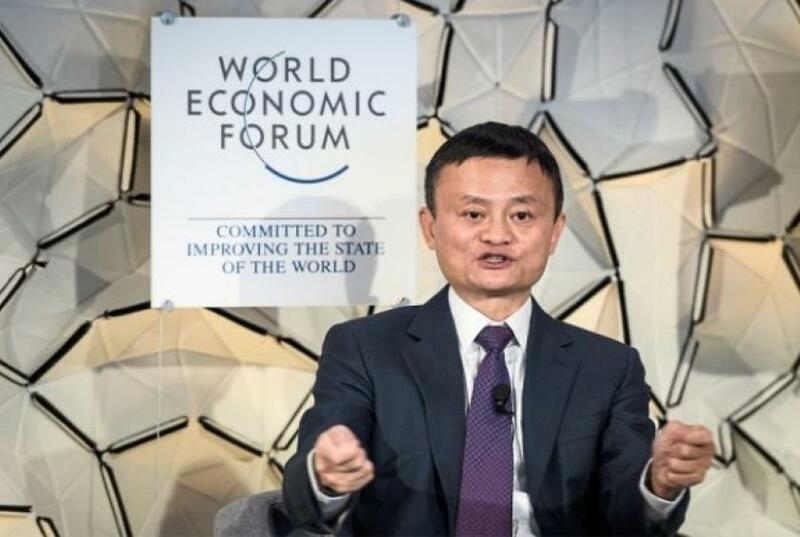 We will never make our chipset business a standalone business,” said Ai Wei, who is in charge of strategic planning for Huawei’s chipsets and hardware technology. 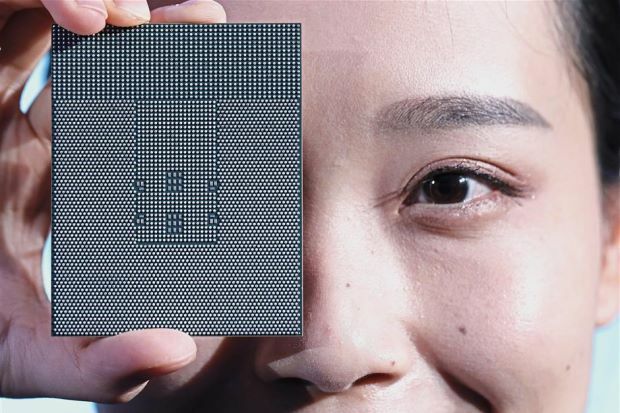 It said its latest seven nanometre, 64-core central processing unit (CPU) would provide much higher computing performance for data centres and slash power consumption. It is based on the architecture of British chip design firm ARM – owned by Japan’s SoftBank Group Corp – which is seeking to challenge the dominance in server CPUs of US maker Intel Corp.
Huawei aims to drive the development of the ARM ecosystem, said chief marketing officer William Xu. He said the chip has “unique advantages in performance and power consumption”. Huawei’s new ARM-based CPU is not a competitor to the US company’s x86 CPUs and servers, but complementary, Xu added. Redfox Qiu, president of the intelligent computing business department at Huawei, said the company shipped 900,000 units of servers in 2018, versus 77,000 in 2012 when it started. Huawei also released its TaiShan series of servers powered by the new chipset, built for big data, distributed storage and ARM native applications. The Huawei stand is seen during the Mobile World Congress in Barcelona. Yves Herman / Reuters . 4 https://youtu.be/03D-0uDOj_c https://youtu.be/N8IyDSrMY3w The arrest of a top Huawei executive may spark a conflict that could cr. The arrest of a top Huawei executive may spark a conflict that could cripple America’s rival and unleash chaos in the world order. Huawei chief financial officer Meng Wanzhou was in transit at Vancouver airport when she was detained at the request of the US on the grounds that her company violated US sanctions against Iran years ago. Only after many days was she released on bail, and she has to wear an electronic tracker. Made in China 2025 will boost manufucturing http://www.chinadaily.com.cn/a/201804/14/WS5ad15aa0a3105cdcf6518423.html US misreadin.. This photo of Shanghai Bund is taken by Chinese Satellite with 24.9 billion pixels of quantum technology. It’s worth seeing! You can zoom in, zoom out when you look at it. You can clearly see every gesture, even face of pedestrians on the road. You can see the license plate. Photos can also be moved up and down, left and right. It is said that this is the latest development of China’s military science and technology achievements, hidden, indeed suffered harm!!! It can also be rotated. Press’+’to zoom in and’-‘ to zoom out. Left and right rotation. It’s too clear! 5G is the fifth generation of cellular mobile communications. It succeeds the 4G (LTE/WiMax), 3G (UMTS) and 2G (GSM) systems. 5G is the new critical node for the future global supply chain. This is the ultimate technology that determines the communication/mobile networks in the next 10 years. Therefore this is a big cake that everyone wants to get a slice from it. The whole 5G framework can be divided into two key technology: the modem chipset and router infrastructure. On one hand, the modem chipset is installed in your phones and other sensors that need to be connected to the Internet. Huawei (China), Qualcomm (US), Samsung (Korea), MediaTek (Taiwan), Intel (US), Apple (US) (rumoured). On the other hand, the router infrastructure is placed in base stations all over the buildings and towers. It directly talks to the 5G modem in your mobile phones and translates your 5G requests to the Internet. Huawei (China), Nokia (Finland), Ericsson (Sweden), ZTE (China) Surprise Hah?, Cisco (US), Samsung (Korea). The router and the modem chipset must be compatible, and therefore a standard must be settled in order for them to talk. The modem chipset is deeply coupled into the system on a single chip with CPU and GPUs. The system is normally shipped as a package. If you hold the 5G modem IP in a SOC (System-on-chip), you can also bind your CPU and GPU IP in a package. That means whoever controls the 5G IP would also control the whole market of the CPU and GPU intellectual property. If you hold the 5G router standard, you can also control the modem standard and then control the whole system standard. For example, if the US were to allow Huawei to sell its 5G router devices to Verizon or AT&T, then Huawei could make all of its base stations to only support its own modem standard. Then you could end up with the whole system package delivered by Huawei as well. Then the US might have to buy more devices made by Huawei in order to use 5G. That’s how Qualcomm rose from a small company to the top simply based on its 3G patents. And you can see that Huawei and Samsung is the dominant player here that they both control the modem and router patents. However, owing to the pressure of the US government, Samsung surrendered its chip IP right to US companies. This is the fundamental difference between Samsung and Huawei. Because the South Korean market is so small and therefore Samsung has to surrender to the US in order to survive. You might wonder why Samsung does not use its Exynos processors in US but it has to use Qualcomm one? That is the pressure from the US government. Meanwhile, Huawei gets the full cultivation in the Chinese market and does not fear the US government. It never intends to go to the US market as well. What it focuses on is the adoption in China and the rest of third-world countries. If you read the following recent news, you can get a feeling that China is really leading the global 5G battle in all three fields: technology, adoption and market. The Chinese government said it would perform nationwide 5G adoption using Huawei technology around March 2019. Please note that this is a market of 1.4 billion people that is US population and Europe population combined. And the Chinese government is pushing this really hard, unlike the US stuck in legislation as you can imagine. South Korean carriers set surprise commercial 5G launch for December 1 And compared to the US government, both Chinese and Korean government are very efficient in promoting 5G infrastructures. In this manner, US companies are really lagging behind. This could firstly cause wide-spread fears among the US companies. It is very likely that those companies would lobby the US Congress to ban Huawei at first. The arrest happens just before the Huawei 5G technology is going to be adopted commercially in China. It is very likely that some people wanted to disrupt the growth of Huawei. Everyone talks about the Huawei arrest. But no one is talking about who initiated the investigation against Huawei and who filed the case in the US juridical system in the first place? I suspect CISCO could be the one who actually filed the case to ban Huawei. Vancouver plays a special role for Meng Wanzhou, as it does for many a wealthy Chinese — a place to park some assets, educate your children, and just let your hair down from time to time. Meng — chief financial officer of Huawei Technologies Co., a telecom equipment giant present in more than 170 countries — would carve a few weeks out of her punishing travel schedule every year for a break in the Canadian city. She’d time it for the summer, when her children would be there and when the city’s crystal waters and craggy mountains would emerge from 10 months of rain to be bathed in long, golden days of sunshine. Just last August, she was seen strolling through a local park, snapping photos with her in-laws. Her place of retreat has now become a jail. On Dec. 1, Meng stepped off a Cathay Pacific flight from Hong Kong around noon, and had planned a 12-hour stopover in Vancouver before heading on to Mexico. Instead, she was arrested by Canadian authorities and faces a U.S. extradition request on charges she conspired to defraud banks, including HSBC Bank Plc, so that they unwittingly cleared millions of dollars in transactions linked to Iran, in violation of U.S. sanctions. This time, her stay looks to become an extended one — extradition cases can sometimes take years. Whether she spends that time in a cell or under house arrest may hinge in part upon her ties to Vancouver and if they’re considered deep enough to stop her from fleeing. Meng’s bail hearing resumes Monday at 10 a.m. local time. It’s expected to last the whole day as her defense team calls witnesses, including security companies, to testify on ways to address flight risk. “In essence, Ms. Meng vacations for two weeks in Vancouver — I say that is not a meaningful connection to this jurisdiction,” Crown attorney John Gibb-Carsley said Friday at the six-hour bail hearing in Vancouver as more than 100 spectators watched from a glass-walled gallery. Meng — wearing a dark green sweat suit, her posture impeccable — watched from the back of the courtroom with her interpreter, occasionally taking notes on a sheet of paper. The 46-year-old has an incentive to flee home to China, which has no extradition treaty with the U.S., and she has the vast resources and connections to remain out of reach indefinitely, Gibb-Carsley said. Canada has long been a favored destination for millionaire migrants, and Vancouver, especially, for the Asian ones. 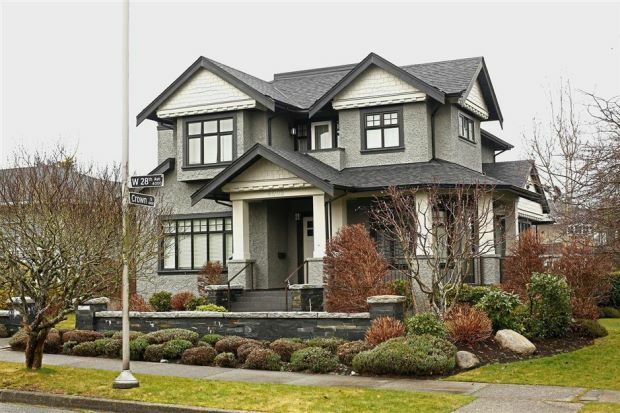 But increasingly that’s been stoking tensions in a city awash in Chinese cash, with wealthy part-time residents blamed for property prices that have made Vancouver the most unaffordable city in North America. post the family’s equity in both as part of her bail. sons from a previous marriage, one of whom attends a prep school in Massachusetts. If granted bail, the family would move into one of their Vancouver homes and the son in Massachusetts would join them for Christmas, Meng’s lawyer told the court. Meng WanzhouPhotographer: Dennis Zhe/Huawei Technologies Co.
Three of her four children have done part of their schooling in Vancouver, and they still spend weeks — sometimes months — in the city during summer. Meng, who also goes by the names Sabrina and Cathy, holds two passports, one from China and one from Hong Kong, and until 2009 also had Canadian permanent residency. Meng is the daughter of Huawei’s founder Ren Zhengfei, whose net worth was stimated at $3.2 billion, according to Gibb-Carsley. A million-dollar bail to that family is equivalent to a C$156 bail for an upper-middle class Canadian family with C$500,000 in assets, he said. 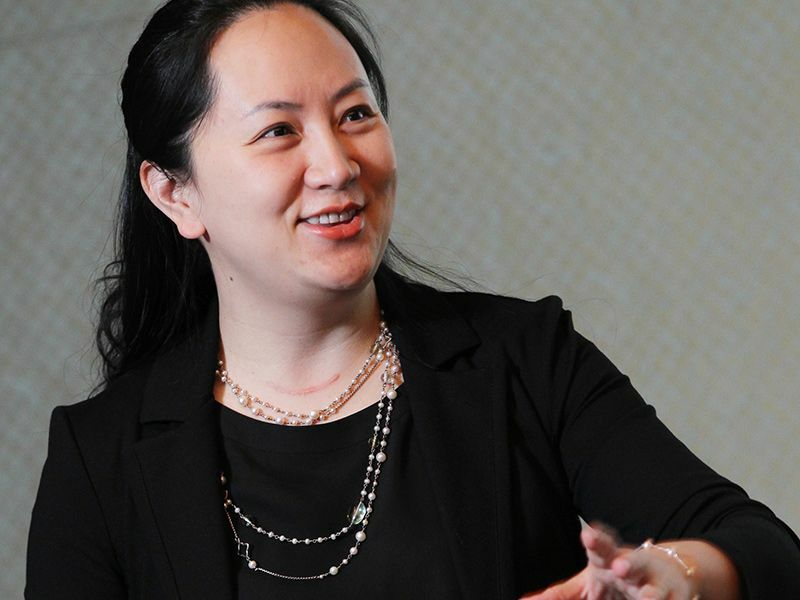 Sabrina Meng Wanzhou, the chief financial officer of Chinese telecommunications giant Huawei Technologies, was arrested last Friday in Vancouver, Canada at the request of the US and accused of fraudulently representing the company to get around US and EU sanctions on Iran. The US is seeking to extradite Meng in relation to Huawei’s alleged use of an unofficial subsidiary, Skycom, to skirt the sanctions, a lawyer representing the Canadian government said. Meng was arrested at Vancouver International Airport on December 1 as she changed planes and has been detained ever since. Meng, a daughter of Huawei founder Ren Zhengfei, attended the British Columbia Supreme Court last Friday for a bail hearing, as the US seeks her extradition on fraud charges. The hearing ended without a decision and will continue on Monday. Meng describes herself as a 46-year old Chinese citizen, holding a Hong Kong and Chinese passport, who lives in Shenzhen. Meng says her family have extensive ties to Canada, and Vancouver in particular. Although Meng relinquished permanent resident status in Canada, she says her family have bought two homes in Vancouver. Those two homes include a property bought in 2009 with her husband at 4005 28th Street, and another at 1603 Matthews Street in 2016. Meng says she tries to spend at least 2-3 weeks in Vancouver every summer. Since 2012 her children, who attended school in Vancouver, no longer live there. After being detained and interrogated at Vancouver International Airport on Friday, Meng says she was taken to Richmond General Hospital after feeling unwell due to severe hypertension, a condition she has struggled with “for years”. Meng says she continues to feel unwell and is worried about her health “deteriorating” while she is incarcerated. Meng says she has had numerous health problems throughout her life, including thyroid cancer, for which she underwent surgery in 2011. In May 2018, Meng says she had surgery to remedy health issues related to sleep apnoea and still has difficulty eating solid foods – which has caused her to modify her diet. She has received daily packages of medicines from her doctor for years to treat her ailments. Meng points out she has no previous criminal record in China or anywhere else. If she is granted bail, Meng offers to surrender both her passports, to live at her home at 4005 28th Street, to have her family live with her as permitted by Canada’s immigration laws, she is willing to pledge the equity of either or both her houses as security, or to make a cash deposit as directed by the court. Meng says she would not breach any bail conditions because of the reputational damage it could do to Huawei, the company her father founded. Finally, Meng says she is innocent of the allegations levelled against her and will contest the allegations at trial in the US if she is ultimately surrendered.